Vltimas release lyric video for the song called "Diabolus Est Sanguis"! Three-piece extreme metal formation Vltimas release a new lyric video for the song “Diabolus Est Sanguis”. The song is taken from the forthcoming debut album ”Something Wicked Marches In”. The band, consisting of David Vincent (ex-Morbid Angel), Rune Blasphemer Eriksen (ex-Mayhem, Aura Noir) and Flo Mounier (Cryptopsy), will release their brand new offering on March 29th, 2019 via Season of Mist Records. 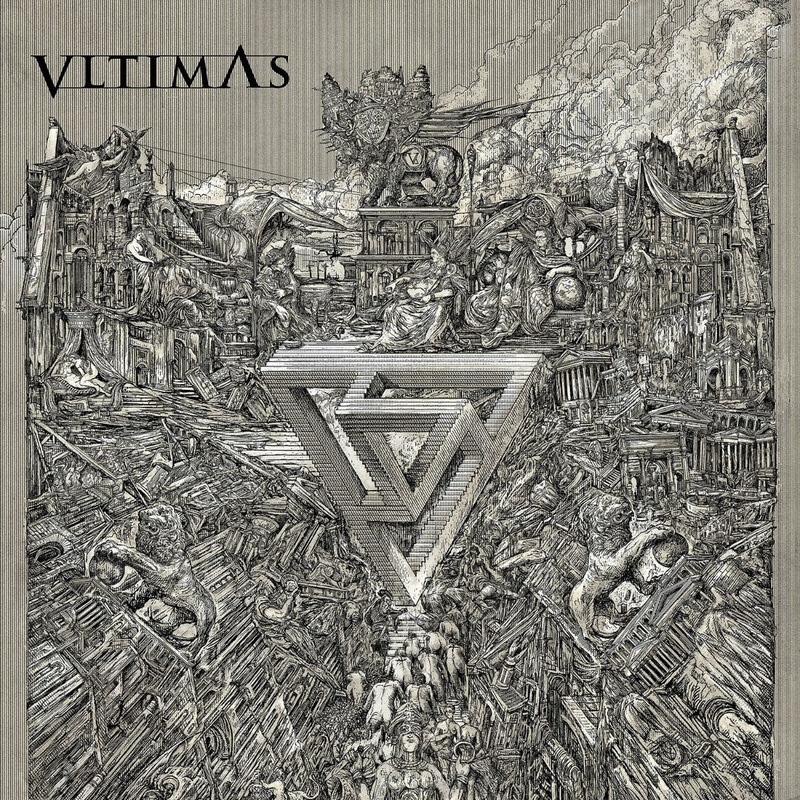 Vltimas have previously revealed the cover for ”Something Wicked Marches In” which has been created by renowned Polish artist Zbigniew M. Bielak (Ghost, Paradise Lost, Bolzer, Zhrine). After some years of absence from the black metal scene, guitarist Rune Eriksen (Aura Noir, Earth Electric, ex-Mayhem), decides to venture back into the aural landscapes he’s widely known for. Having played with one of Norway’s leading extreme metal bands for years, Eriksen seeks to coalesce classic, cold Scandinavian riffing with an air of darkness and the signature force of death metal. 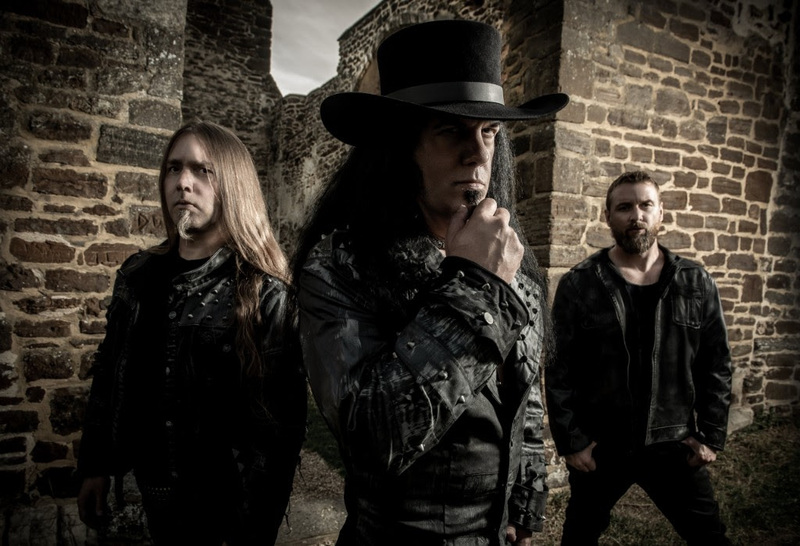 Combining strengths, Eriksen brings in veterans of the extreme, David Vincent from legendary death metal band Morbid Angel, as well as acclaimed drummer Flo Mounierfrom Cryptopsy. The three-piece have completed the work on their debut album, which is slated for release early 2019 via Season of Mist Records. The new death metal powerhouse will be known under the moniker of Vltimas. 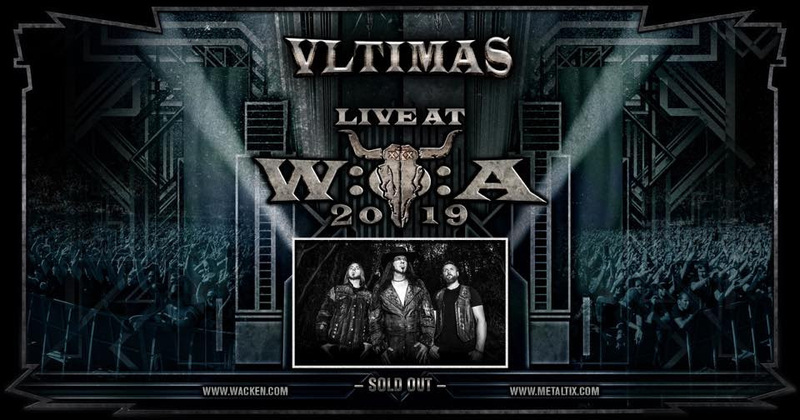 The foundation for Vltimas was laid when Rune, after collecting a handful of riffs, presented drummer Flo Mounier with the idea of forming a band together. For the two musicians, having composed and recorded numerous songs together in the past, the musical chemistry was already tried and tested. However, one thing was still missing. This extraordinary musical project needed an extraordinary voice and Eriksen got in touch with David Vincent, with whom he had been in contact for years, to finalize the line-up. Vincent had just exited Morbid Angel and was ready for a new chapter in his long spanning career. Everything fell into place, and Vltimas came into being. During the Noize Factory sessions (Georgetown, USA), the musicians started writing a substantial amount of music. The sessions proved to be a fruitful endeavor and the first ideas and song skeletons were later fleshed out by Rune at his home studio in Portugal, then finalized when Flo Mounier and Eriksen returned to Texas, in order to put the final touches to the material at David’s home studio. In a more controlled surrounding the songs started to unveil themselves and the studio was booked. The band entered Orgone Studios in Woburn, England in May 2018 with producer Jaime Gomez Arellano. Here, the three-piece recorded nine crushing tracks that will appear on the full-length debut album. Pre-orders will be available in January 2019.